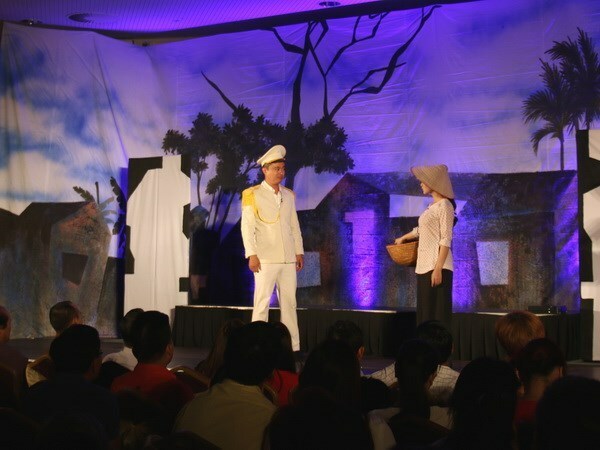 Hanoi (VNA) - The Vietnam Drama Theatre’s troupe performed the comedy play “Benh Si” (Egotism) in Prague, the Czech Republic, on August 18 as part of its Europe tour. The show was designed to mark the 72nd anniversary of the August Revolution and National Day of Vietnam. The play “Benh Si” by Luu Quang Vu will be performed for three nights in the Czech Republic. The first night drew nearly 500 people. The next two, in Brno and Ostava, are expected to lure similar crowds. Directed by People’s Artist Tuan Hai, the comedy Benh Si is one of the most famous plays written by late playwright Luu Quang Vu.